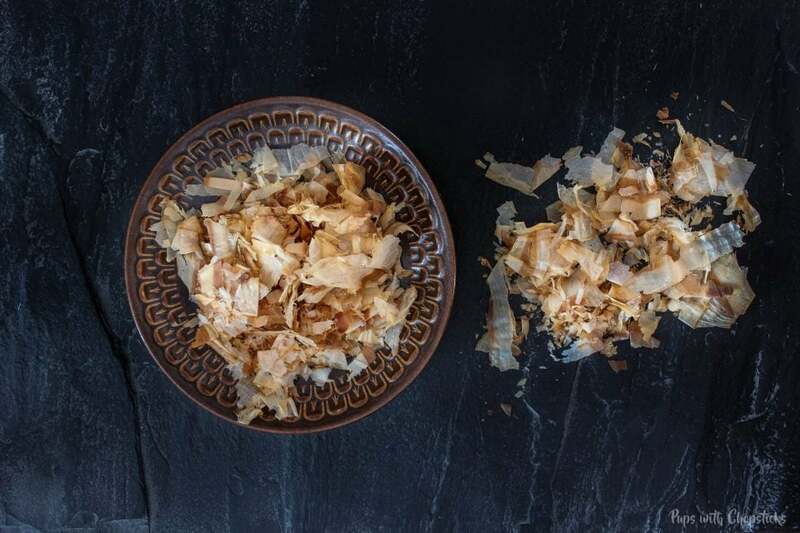 Bonito flakes are made from fermented and dried smoked skipjack tuna, which are then shaved into paper thin flakes. Prized for it’s smoky flavour, it can be used for a dashi stock or as a garnish to bump up the umami flavours of your dishes. Bonito flakes are most commonly used to make dashi (a broth base for miso soups). They can also be used as a topping or garnish to finished dishes to provide additional umami-ness. You can typically find these at gourmet specialty stores and Asian supermarkets. If they are difficult to find locally, you can purchase it online as well. Bonito flakes are mildy fishy and have a very strong smoky flavour. They also have a bit of an umami flavour to them when used as a garnish. There’s almost no texture to bonito flakes. Since it is shaved thinly, it melts in your mouth. When you are using them in very saucy and soupy recipes, they will almost always melt into it so put this on as a topping right before eating. Most bonito flakes when opened will keep well for about 6 months to 1 year, after that they start to lose a bit of their flavour. Store them in a cool and dry place in a very well sealed container.